Indian Prime Minister Narendra Modi visited Japan from October 27 to 29. The visit was considered fruitful in a range of areas and heralds deepening ties between the two nations that adds a new angle to the Indo-Pacific landscape, writes Lin Minwang of the Institute for International Studies, Fudan University, at haiwainet.cn. The most significant result is progress in promoting the Indo-Pacific Strategy, Lin says. At an October 27 news briefing, Indian Foreign Secretary Vijay Gokhale said the leaders would discuss improving their defense links to move beyond merely buying and selling arms: the Indian army and Japanese Ground Self-Defense Force held their first joint exercise on November 1 (it is expected to last two weeks). Second, they have entered negotiations on an Acquisition and Cross-Servicing Agreement which will allow the nations to use each other's military bases. They have also made significant strides in jointly promoting regional interconnectivity, as they have a consensus over how to cope with China-led Belt and Road projects. Existing joint projects in Sri Lanka, Myanmar and Bangladesh aside, the two countries have decided to set up the Platform for Japan-India Business Cooperation in Asia-Africa Region to help develop industry corridors and industrial park networks there. 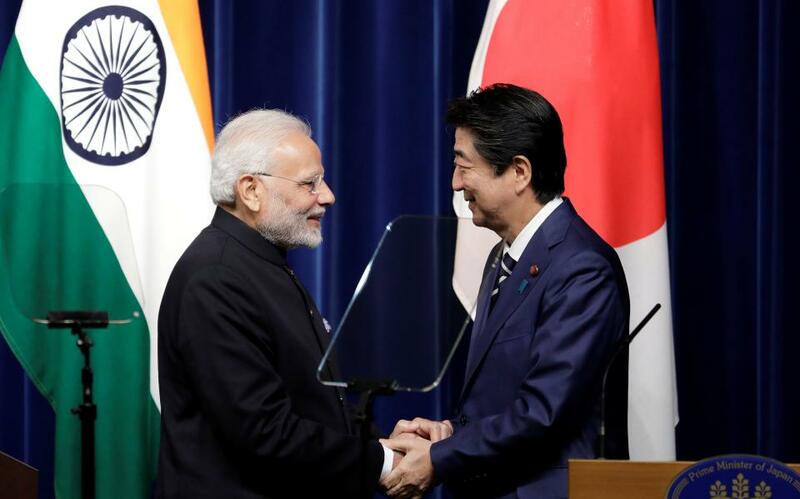 Deepening India-Japan ties reflect uncertainty about Asia’s future, especially about what roles China and America will play there, Lin argues. India and Japan are balancing themselves amid this uncertainty. After an informal leaders meeting in April 2018 and Japanese Prime Minister Shinzo Abe's fruitful visit to China in October – and now a new era of India-Japan relations (as Abe has described it) – a more delicate, yet balanced regional landscape is taking shape.